A lot has been happening over the past few days. First I got an email two days ago from the guy who took my 4 original chicks. He said they all turned out as roosters. Here’s a picture and here’s the story. But, the biggest news is that my Buff Orpington started to go broody. My first thought was to “break” her of the broodiness, but then I thought I could get some fertile eggs and stick them under her (I don’t have a rooster). I’ve only noticed the broodiness the last few days. She was in the box for a few hours the first day and I reached in to get her she puffed up. I pulled her out and set her on the ground. She just plopped on the ground like a chicken bean bag, almost like she didn’t have any bones in her body. I’ve since learned that chickens get in a “trance” when they are broody. She shortly “woke up” and remained outside the coop the rest of the day as she normally would. That night I noticed that she didn’t go up on the roost, she just stayed on the floor of the coop, but not in the nest box. The next day I saw her sitting in the nest box again and waited for about 3 hours. I pulled her out of the box and again she puffed up when I got close and when I pulled her out she just plopped on the ground. Fortunately she didn’t growl at me or peck as I’ve heard chickens do. That night she went into the nest box and stayed in the nest all night and was still there in the morning. She was in the only nest that they all use to lay eggs. I heard that the other hens often just lay their eggs next to the broody hen. What a super offer from a great person. I gave her a call and we worked out the details. My wife was set on trying to get a white chicken so we asked Chel what she thought and she made some good recommendations. I promptly went outside to start getting things ready. I thought I’d build a new nest box and put the eggs and the buff orpington in there. That would allow the other hens to lay their eggs in the usual spot. I cleaned out the whole coop, put in a new plywood floor with new shavings and made a new nest box out of a milk crate. I put some old cut-up jeans over the crate to give her some privacy and gently placed the eggs inside. I pulled the Buff out of the nest box and set her on the eggs. She seemed pretty happy, SUCESS!!! or so I thought. I came back about an hour later and saw her outside walking around with the other girls. I guessed she may not be ready to be a mother. Fortunately when I came back an hour later she was on the eggs. SUCCESS!!! well, wrong again. Another hour later I checked and she wasn’t on the eggs, but had moved to the other nest box where there were no eggs. I decided not to fight her anymore so I decided I’d move the eggs to where she wanted to be. Here’s the funny part. Every one of the other 5 times I moved her I used gloves because I had heard that hens can peck pretty good when they are broody. Each of those times she never pecked, only fluffed up her feathers. I thought, “She’s never pecked me before, why would she this time? I don’t need gloves.” Well, I’m getting good at being wrong, and I got a good peck. I grabbed the gloves, shifted her off the nest, moved the eggs from the new nest and put them in the old nest then shifted her back on the eggs. We also had broody hen who was very mean when you put your hand in there to get new eggs she’d not been sitting on. She was a Buff Orbington. Now I’m incubating eggs with my mini dome incubater. i am about to get 13 chickens in an incubator and would like to imprint on the chicks. Isabella, I read that chickens don’t imprint as well as other fowl (like geese and ducks) but I think they still do to an extent. Rob, Really Months, WOW! What I think would be a “Okay” way to break a hen of broodiness is to just take her off the nest and take the eggs and maybe distract her with some food or something. Our hen was broody just that once and hasn’t sat on any other eggs since (meaning she hasn’t hatched any others). I’m now incubating some more eggs in a big incubater that my dad and I built. I candled some. Some of them are probably not going to make it, but some other I’m not for sure what’s going to happen. Oh, and if anyone knows. Some of the eggs I’m candling are really dark and I think I see something in there. Some are just kinda see through. Thanks, Kaliona. Age 11. Oops Rob, Kali is just my kinda nick-name. Kaliona is my real name. Okay, well I now see vanes and a (I think) baby chick. So, I hope they hatch. Thanks, Kaliona. and then put a box over it. online so i hope you phowells are doing ok.
I’m glad you liked it, derek. I’m still incubating he eggs and I candled one and there’s vanes and a baby chick in there. I hope at least 3 or 4 hatch. We have 9 in there. How many are you incubating? I’m hoping we get another broody hen when we order chickens again. We order from Murray Mcmurray hatchery. Go to MurrayMcmurrayhatchery.com. They have great breeds and they are always healthy. They also have Ducks, Turkeys, Quail, Geese, Pheasant, Guineas, Peafowl and Chuker and supplies. I gotta go. Thanks, Kaliona. Age 11. Hi, I was wondering if anyone knew about any Duck breeders in NC near Asheville. Thanks, Kaliona. Hey, The eggs hatched!!!!!!!!!!!!! Three have already hatched and two other’s are hatching right now. Yipppppyyyyyyyyy!!!!!!!!!!!! Thanks, Kaliona! . What can I use to write on the eggs without hurting the newly forming chicks? We have about a dozen under a broody hen right now but the others chickens keep laying more in that box– we’d like to mark the ones we hope will hatch but be able to know which ones are new so that we can take them out each day??? hiya i have got some geese eggs in my incubator i have to an dark orange patch i see porsein them but i still dont know if the are firtile i am confused ????? 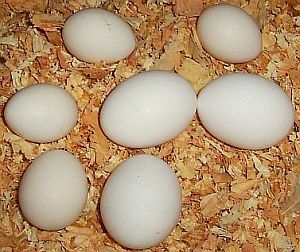 I am incubating 5 Australorp chicken eggs right now. They are peeping inside their eggs so I know they should hatch soon! I have used this blog to show all my students what a chicken looks like inside of an egg. My Kindergarteners were amazed! Thank you for such great pictures! It is the 23rd day and my \chicks didn’t hatch yet? HELP!!!! I have a pair of Pekin ducks and the female has been laying eggs……however my chicken hens want to set on the eggs!!!!! I keep moving the hens into the other nesting box with their eggs but the next day they will be right back on the duck eggs……are my duck eggs ruined? Will a chicken hatch duck eggs…..I know she wants to but are they similar in body temperature? GRRR I don’t know if I should destroy the duck eggs or not, please help! I want to hatch parrots eggs. macaos & african gray. how many days I shud put in incubator & in what tamprature. pls guid me. ok i just got 5 chicken eggs yesterday morning from the neighbors and they have a rooster and i think they are fertile but i am not sure so i candled them and there are little spots like the ones i seen on line that are fertile on day 2 but i am not sure. for one did you turn them after day 18 and did you increase the humidity to 75% after day 18? also if they havent hatched by day 25 or 26 they are most likely dead to tell you can candle them and if you cant tell crack them open and look its as simple as that. terri:chickens and ducks are about the same in body temp but if i were you i would put them in an incubator around 99-105 degrees with about 65% humidity and on day 23 increase to 85% humidity. tauqir: the temperature should be around 99-105 degrees 108 is probably just a little to high you can decrease it by like 3 or 4 degrees and it will be just perfect. jotis: you need to wait a few days then candle it, it is most likely rotten! i stopped turning them on day 17 at night time. and the tempature was fine. i candled them but it looked like they were ready so i waited until day 31 but anyone can be sure by then that they were dead so i got rid of them. should i have opened up the egg to see were they inside or would it be a bad idea. and i was wondering if the chicken had died and i cracked it open would it be smelly? I have avery broody chook, so i swoped her eggs and put some fertile eggs (i think) underneath her. She seems to be keeping them very warm but the problem is the nest is outside, asmall hole in the bank but is kinda exposed. What is the chance that these will hatch? Thnks id like some info! Hi. I have game chickens, and have had for years, as they are very self-sufficient when not penned, and in the spring and summer, I often leave mine out, where they roost in the trees. They do much better than in the pen at that time, because my rooster, Cain, (named so because he killed his brother) tends to murder the little roosters as soon as they get about teen-sized- (no spurs yet, but have full feathers, incl hackles) When they’re out of the pen, they spread out, gain their own territories, and do much better. I prefer this breed as I have even seen them fly up in the sky to meet a chicken-hawk, and fight it while flying, and they are smaller, yet their eggs are fairly large. Their eggs are only slightly smaller than a AA grade, much bigger than a bantam’s. They fly quite well, as I do not clip their wings. Last year, we had fuzzy little yellow chicks EVERYWHERE! Must have been at least 40 or 50 of them. My mom lives next door, and finally got annoyed at the hens’ over-energetic digging in her flowerbeds, and asked me to pen them. I did, but left the secondary roosters all out, so Cain wouldn’t kill them and I also left a couple hens loose, mostly because they roost about 30-40 ft up in a big fir, and I simply cant catch them. I have the worlds’ WORST dog, a black lab, who somehow feels certain he’s a BIRD dog, and he has murdered a few of my chickens over the winter, which breaks my heart. My goal was to naturalize them to this area, and see if they would overwinter in the wild, even though we live in a forest and there are plenty of predators. Still, with the dogs near, many of the predators don’t come around, as I always have one dog loose, and one tied. I would love to have them self-sufficient, and busy eating bugs in the summer, in order to pay for their keep, but may have to get rid of the dog before I can realize my goal. I have tried and tried to train him out of it, but no success. My parents really love my ‘bird-dog,’ and I haven’t the heart to leave him tied all the time, especially as they actually call me and ask if he can come over if I keep him tied! BTW, I have had the best success in putting eggs or chicks under a new hen at night. IF you move or add to the hen’s nest, try to do it (by flashlight, as dim-lit as possible,) at night. They are much more accepting at that time. I enjoyed your candling and chicken-experiences you shared! Alexis- if you get this, you definitely need an incubator or a hen. You need to keep the eggs at a consistent temperature and humidity. There is simply no other way to keep them warm than that. You should take the infertile eggs out. It’s not necessary to keep eggs that won’t grow in the incubator. It would be like putting things that won’t spoil in the fridge. No embryo, no chicken. It’s that simple. And yes, there is a chance that they will explode.